Adrian, 11, abandoned by his parents at an early age, lives with his Gran and his damaged Uncle Rory in a quiet, little New Zealand town. When three children go missing in a neighbouring town, everything in Adrian’s world begins to change. His best friend, Clinton, forsakes him for the cool boys at school, his uncle starts acting even weirder than ever and a mysterious family moves in across the street. Adrian finds a friend in his new neighbour, Nicole, 11, a wild, strange young girl with a mysterious past, but he struggles to maintain a foothold in a world where the ground beneath him is constantly shifting. Adrian looks for those around him to provide him with safety and stability, but what he discovers is that the strength that he is looking for can only come from within. 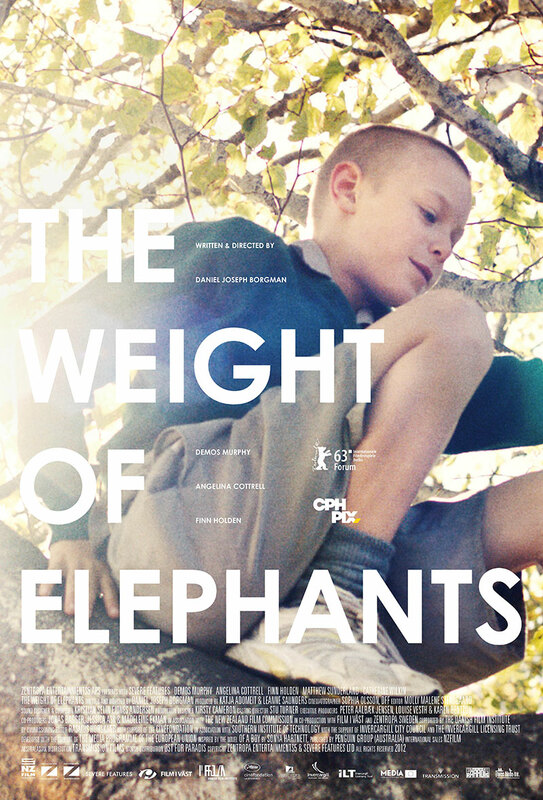 The Weight Of Elephants Inspired by the Novel OF A BOY, by Sonya Hartnett, published by Penguin Group (Australia), written and directed by Daniel Joseph Borgman.